I absolutely adore Indian cuisine. 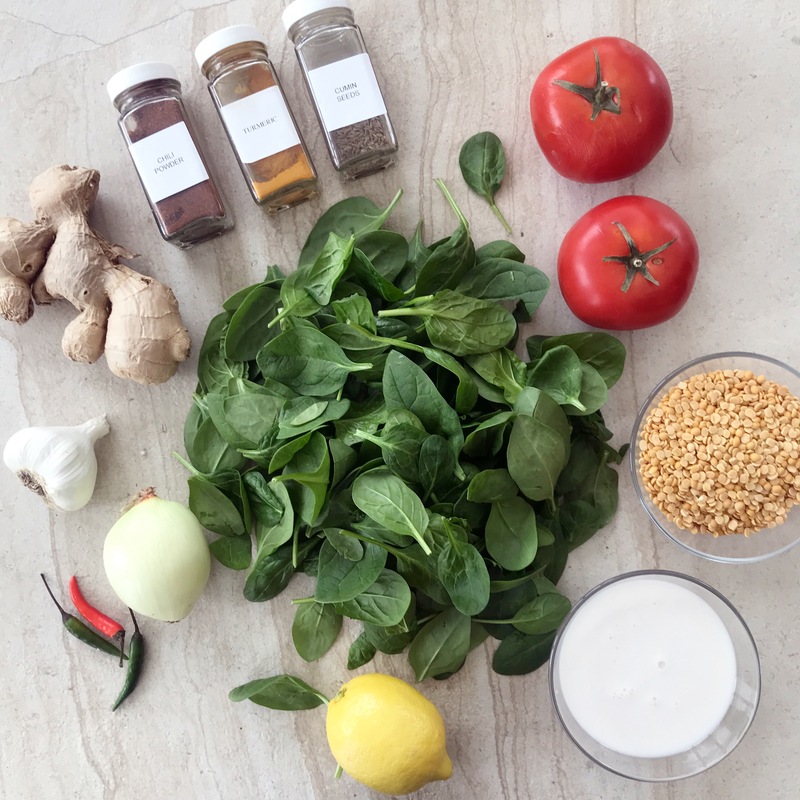 The rich exotic flavors created through a combination of meats, vegetables, herbs and spices continue to defined the culinary uniqueness of this vibrant culture. One ingredient widely used in Indian cooking is called Dal, better recognized for most of us as lentils or pigeon peas. There are eight different types of lentils that make up the foundation of many Indian soups and stews including Green Moong, Urad Dal, Masoor Dal, Toor/Arhar Dal, Lobia, Matar Dal, Chickpeas and Horsegram. 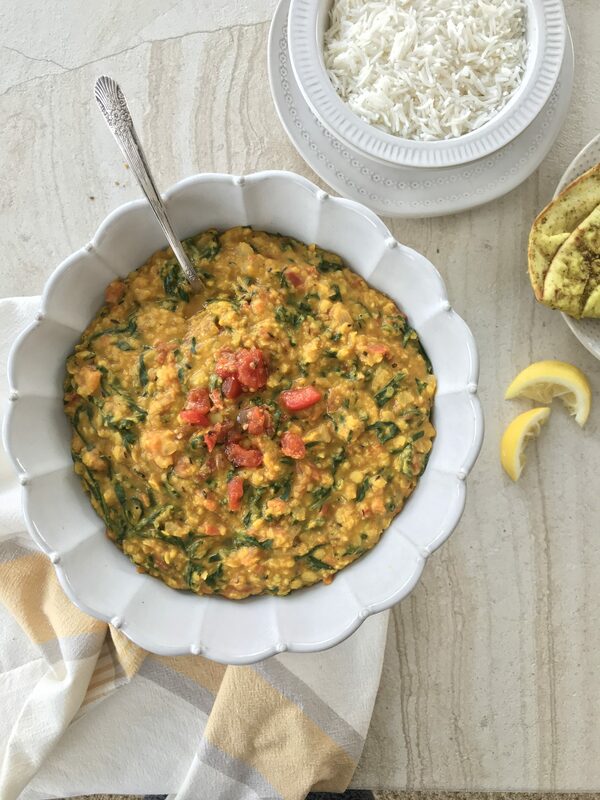 One of my favorite lentils to use is Toor Dal (pronounced thoor/thoo-vurr or urr-hurr) because it doesn’t require pre-soaking, cooks quickly, is extremely adaptable to most recipes and adds a light yet subtly rich flavor to any dish. 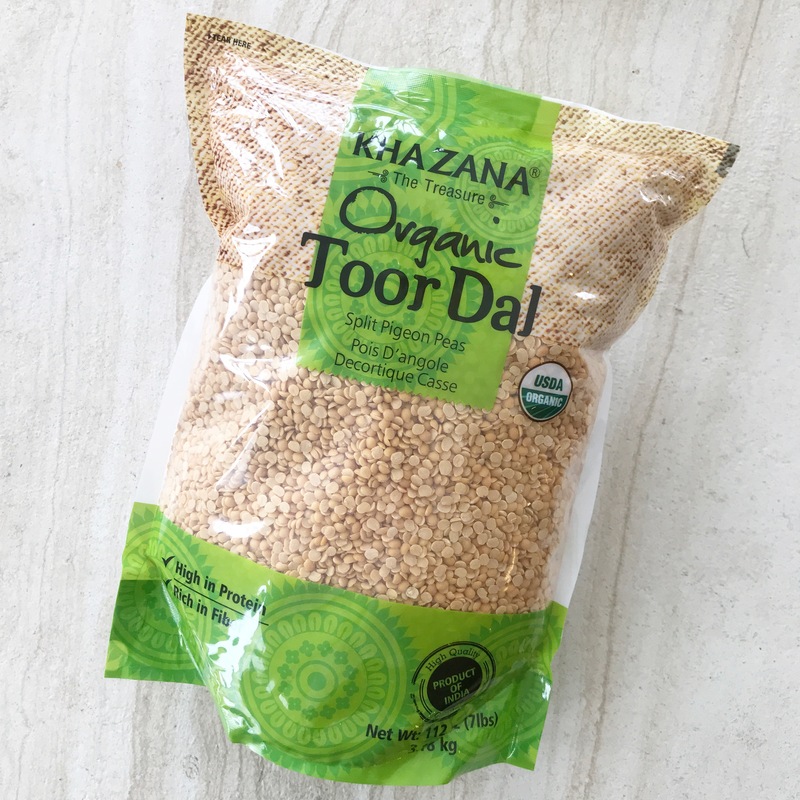 If you are one to care about the health benefits of ingredients like I am, you will be happy to know that like many lentil varieties, Toor Dal is packed with folic acid, protein, carbohydrates and is an excellent option for adding natural fiber to your diet. 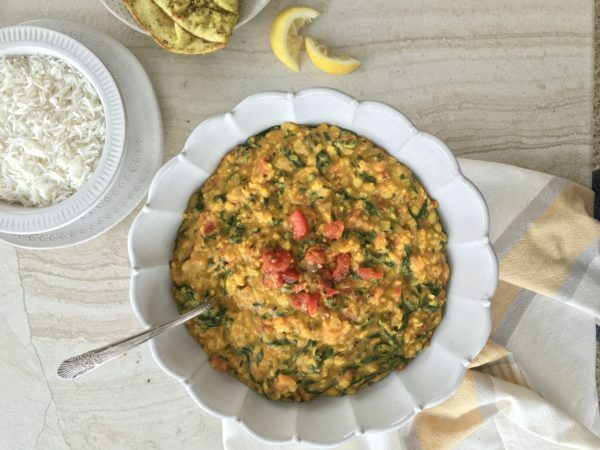 Currently, Costco carries an organic Toor Dal which is what inspired me to create this recipe. You can also order them here. 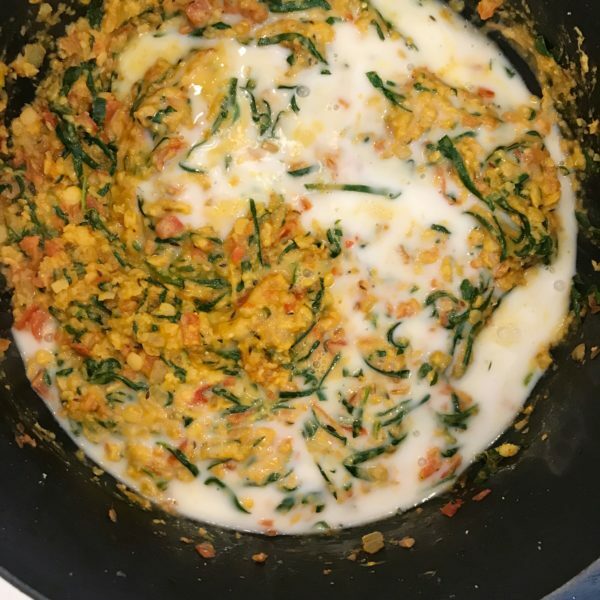 Spicy Indian Lentil and Spinach Curry with Rice is my take on a traditional curry lentil dish but, the addition of coconut milk and lemon juice makes this recipe a bit more creamy with just the right touch of sour, so every bite is a delightfully flavorful experience. Quick disclaimer: though Indian food can pack a punch of heat at times, the one thing I’d like to point out about this recipe is your ability to control the level of heat in the final flavor. I added two small green chili peppers that I seeded first and finely minced, so the heat runs evenly throughout the entire dish. However, if you like your food to have just a subtle essence of heat, I suggest using only one pepper to start and then adding in the other at the end if you choose. If you are a fan of really spicy food, you can add three peppers, but proceed with caution. It’s amazing how much heat one of those tiny peppers can bring to a dish. Cooking Tip: One of the unique features of this recipe are the spincach shreds that infuse the stew. Be sure to cut them lengthwise in thin slices to bring out the texture and look of the dish. 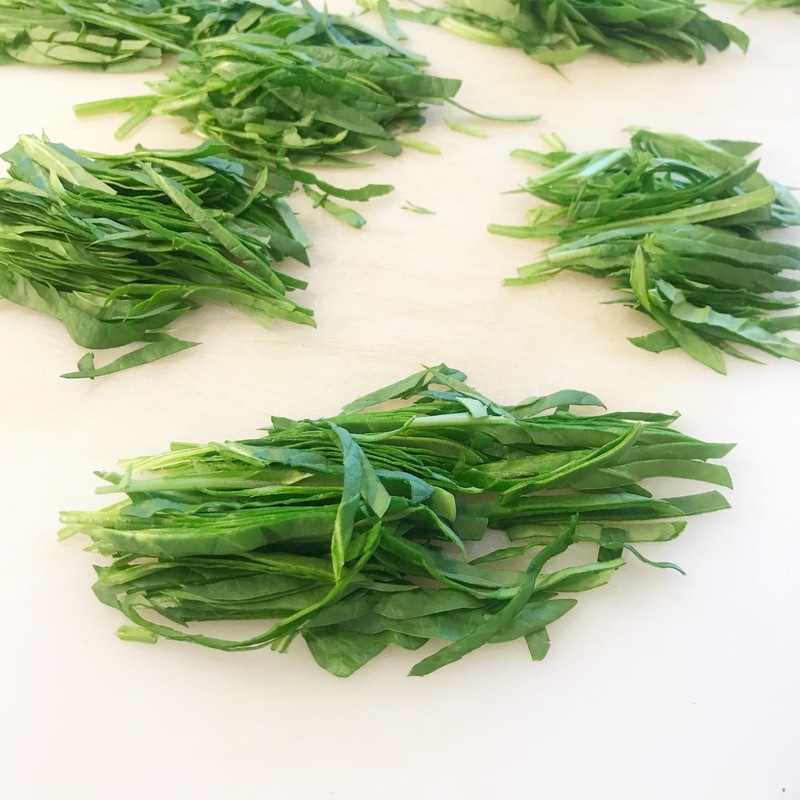 Though it takes just a little more time, I find that stacking the spinach leaves before slicing them creates consistently even shreds in the completed dish. Indian food is usually served with rice but I also really love pairing this dish with couscous for a lighter meal. 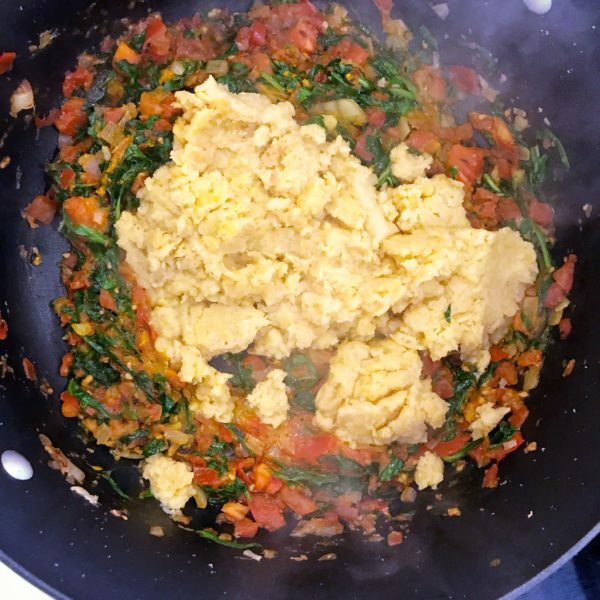 Serve this curry dish with flatbread, rotis or chapatis for a perfectly authentic Indian meal your entire family will love. 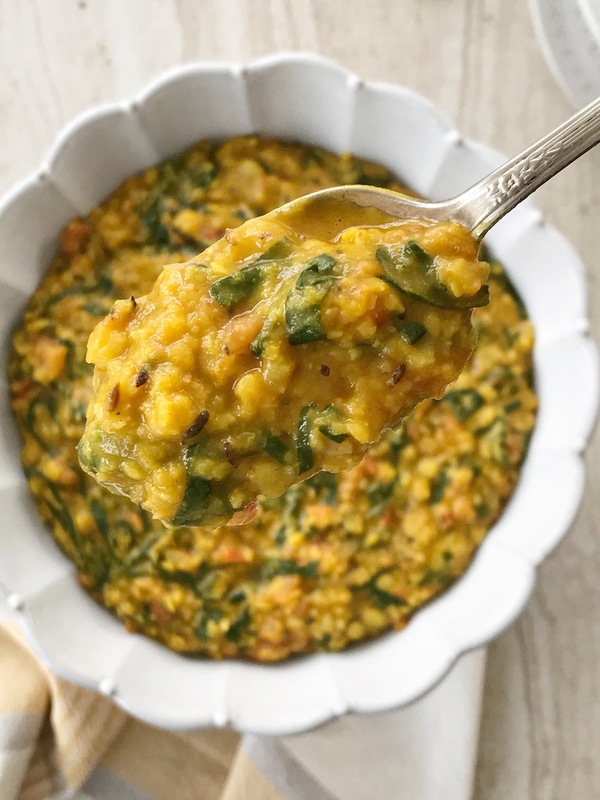 Spicy Indian Toor Dal lentils simmered in a creamy curry sauce infused with fresh spinach, zesty tomato, coconut milk and a splash of lemon juice for a deliciously flavorful stew that pairs perfectly over rice or couscous. Rinse lentils until water runs clear. 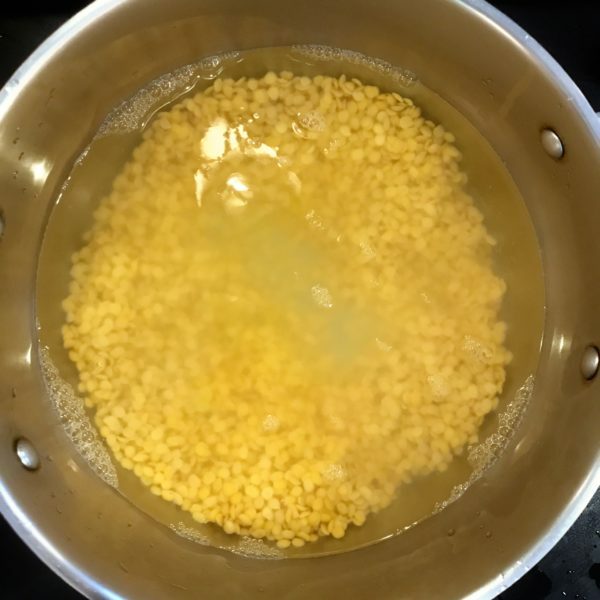 Combine lentils, boiling water, 1-teaspoon salt and 1-tablespoon oil to a pot. Simmer on medium heat with lid tilted for 20-25 minutes or until tender and most of the water is cooked out. The lentils will have a mushy texture when cooked. Heat 2 tablespoon oil in a heavy bottomed pot on medium-low heat. Add cumin seeds, simmering 20 seconds until the seeds begin to crackle. Add in garlic, ginger and chili peppers, sautéing just until aromatic. Add in onions and continue to sauté 3-4 minutes or until translucent. 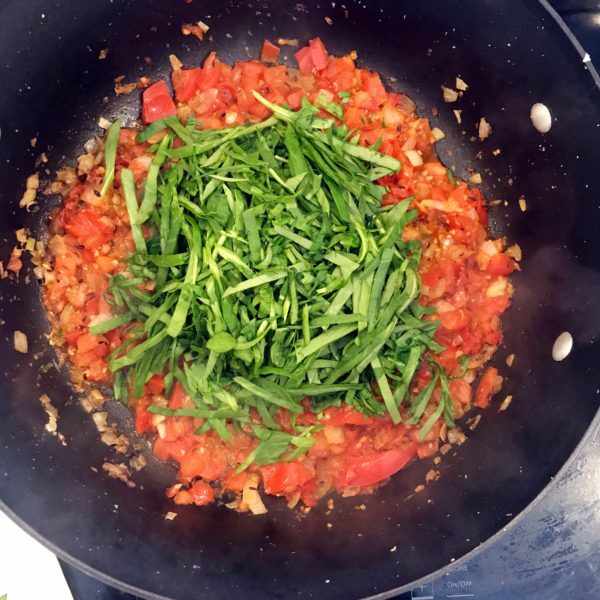 Add tomatoes, sautéing 5 minutes or until they become soft and begin to break apart. Add in spinach, folding into sauce until wilted. Stir in turmeric and chili powder and continue to simmering for an additional 30 seconds to infuse the sauce with spices. Gently fold lentils into the sauce until well combined. Stir in coconut milk and lemon juice and bring to a gentle simmer. Stir in remaining 1 teaspoon salt and continue to simmer on low for 5 minutes. Serve hot with a side of rice and Pita or Naan bread. 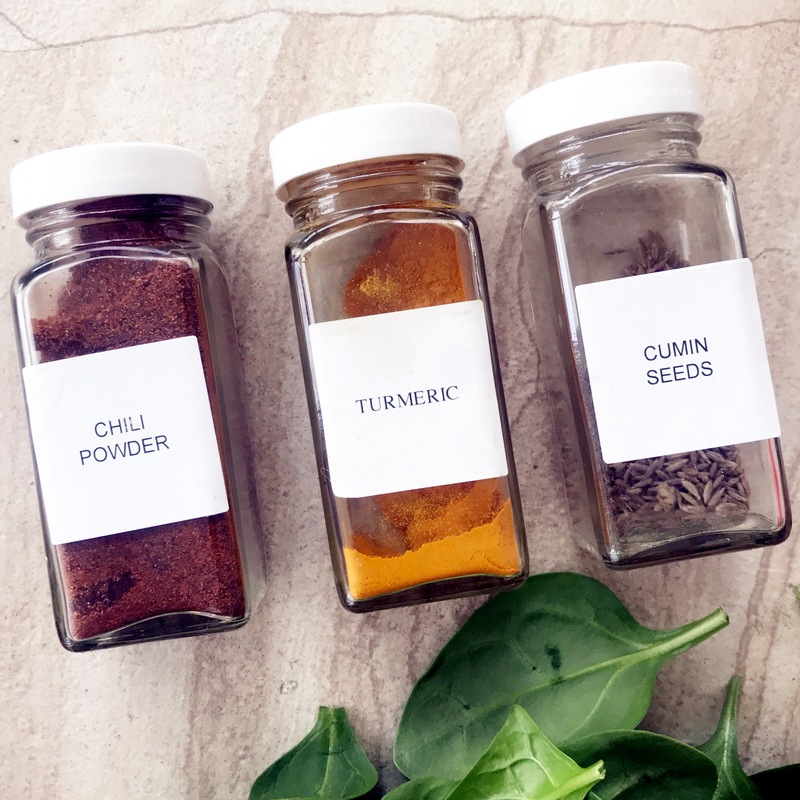 -It is important to have all of your ingredients prepared before you begin to cook since they will have to be added quickly during the cooking process. -Adding oil to the lentil as they boil will prevent the water from frothing and spilling over. -Make sure to seed the peppers to prevent the dish from getting too spicy. -Adjust chili peppers to the level of spiciness you prefer. 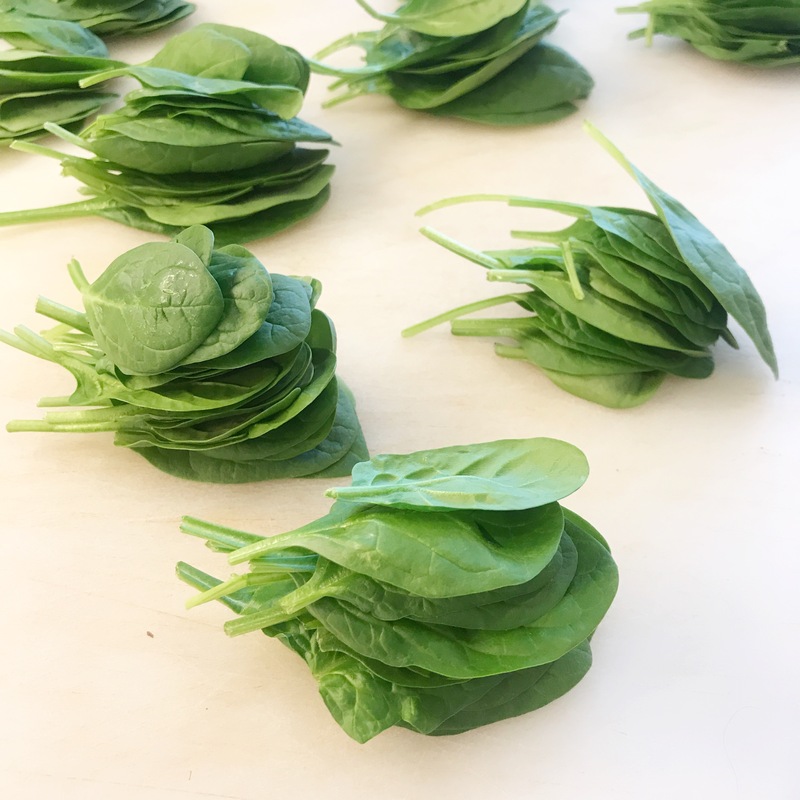 -Stack the spinach leaves in piles before slicing to make it easier to create consistently thin slices. -Feel free to adjust the flavor with additional salt and lemon juice.